Once you’ve figured that out, there’s no need to even leave the house! 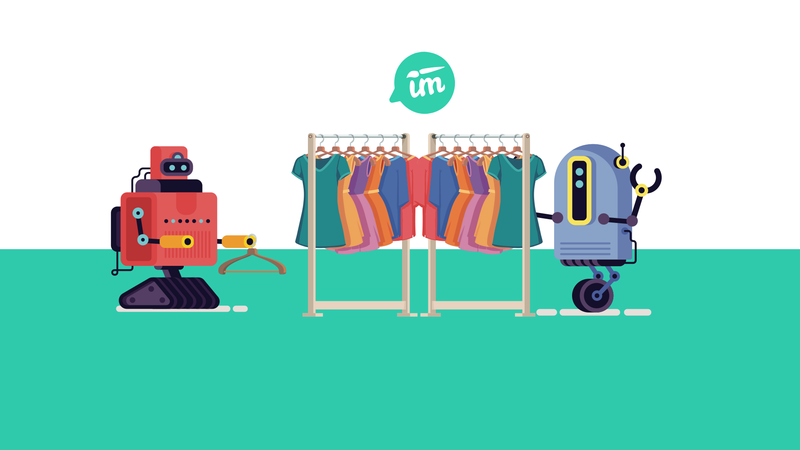 Because with artificial intelligence, you won’t even need to try on the clothes! This is just one of the reasons why the style and fashion industry has become such a big player in the online market. But, although e-commerce has its advantages when compared with physical stores, there was always one big problem — it can be hard to find what you want. We’ve all been there — you go to buy something, let’s say a red dress, on an online store. You put your search term in the box, and use the categories menu to define the clothing type… but, although you get a huge number of results, none of those red dresses are exactly what you need. How frustrating! Now imagine if you could somehow tell the system you’re looking for a red dress, with a high collar in the back, with an open sweetheart neckline. This is what artificial intelligence can do for your customer. But, what if she can’t go to a store? What if she doesn’t want to go?. In that case, she’ll probably start by looking online. She’ll start searching by giving a text description of that perfect dress. Soon enough she realizes it’s not working. She’ll end up frustrated and won’t be any closer to having found that dress. Style advice tools allow the customer to communicate to the store what they’re looking for, as well as the occasion and clothes with which the missing item must match. Using this information the tool will search for items inside the catalog of the online store and will show the customer only those that match the criteria. So, you give the store your information and voilá! a page appears with a selection of footwear, perfectly matched for the occasion and the color and style of your outfit. It’s like having your own personal style assistant — without the cost, without the stress, and without having to leave the comfort of your own home. Job well done.